I'll hopefully publish this imagery tomorrow. 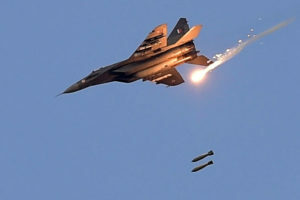 That might indicate that the IAF was under pressure from Pakistani jets and released without a full lock-on, but considering the GPS guidance preloaded with coordinates I would say it was a political decision to limit escalation. Pakistan is offering to return the pilot as a gesture of goodwill. 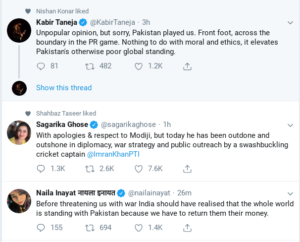 Huge humiliation for India on every level. I’m extraordinarily impressed with Imran’s handling of the crisis. This is the end of Modi, who should have been the Indian Benjamin Nethanyahu. In this episode Razib and Omar talk to Major Amin and Dr Hamid Hussain. Major Amin and Dr Hamid are familiar to our readers for their regular contributions on military history. In this episode we discuss the current India-Pakistan confrontation and what comes next. Events may have moved on even as this gets posted, but I am sure listeners will find it an interesting review of the military and political aspects of the crisis. Postscript: I may have been too hasty in concluding that only one plane was lost that day. It seems that witness accounts and initial Pakistani claims all mention two aircraft. Pakistan says that was another Indian plane, Indians say it was a PAF F-16. Right now, all we can say is that Abhinandan’s MiG 21 crashed without a doubt.. what happened to the second plane and who was it? We don’t know yet for sure. Note from Razib: I tried my best, but there were a few issues with the sound on this podcast. But since the substance is timely and hard to find elsewhere I think it’s worth it! Pakistan’s destiny, if it survives the next few days, is to be China’s Bihar. Many different parts of Asia are extraordinarily diverse with many different cultures (Vietnam, India, China, Indonesia). Allowing Asians into elite American institutions enhances diversity. Asians top every metric for admissions except personality profiles, where Asians consistently rank far lower than any other group. Mass discrimination against Asians creates segregation at schools since non Asian kids need to receive different separate remedial classes. Many non Asian kids at elite institutions upon entry lack the math skills to take entry level classes. Asians use to be America’s only reliable Republican voting block (for example backing George Herbert Walker Bush in 1992 and Bob Dole in 1996). The 2016 and 2018 elections are the first time Asians have overwhelmingly voted Democrat. Asians now vote more Democrat than Latinos. Many Asians think they can change Democrats from the inside. And they have had some success. They have persuaded many Democrats to vote for Asian interests on affirmative action. There are surveys of incoming freshman students. They reflect America and their parents. Or center right. Exit surveys of senior students find that they have shifted sharply to the left. They trend left to socialist to communist upon graduation. My own observation is one that several leading academic professors have also noted. High School Asian American kids, particularly Desi ones, often have contempt for their parents, Asia, older Desis, Asian culture and Asian religions. 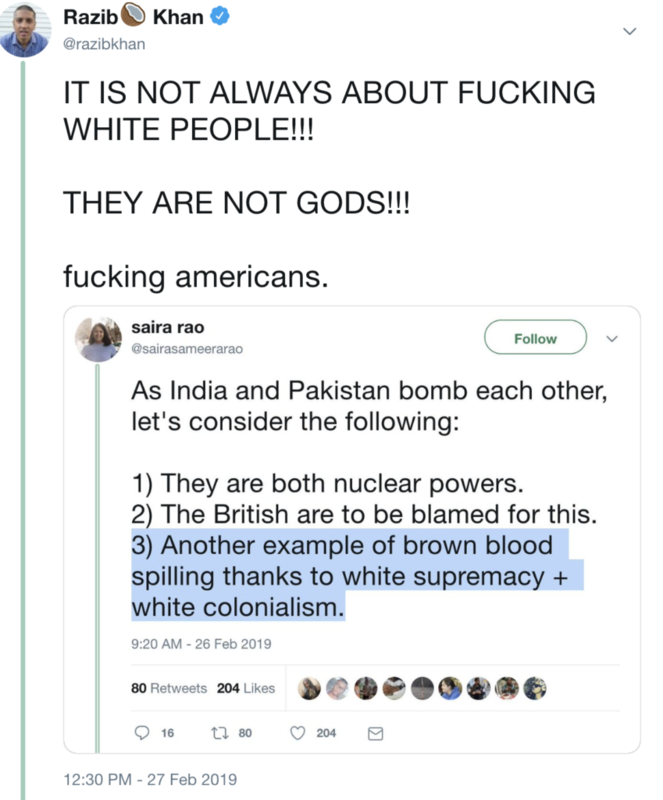 They are often deeply ashamed and guilty about their Asian privilege and about the ways Asians practice “white supremacy”, racism, bigotry, prejudice, sectarianism, hate, oppression, exploitation towards others. There is a sense that the reason Asians are so successful around the world is because Asians steal from others. This phenomenon extends to undergraduate students but is still not common among Asian Americans over 22 years old. How much of this phenomenon is being driven by self hatred, self loathing, guilt and a contempt for Asian and Desi cultures and religions? What if anything can be done about this? As a partial aside, Brown Pundits podcast plans to interview some practitioner Dharmics (including Buddhist, Jain, Sikh) professors in academia. One question we can ask them is how much anti Dharmic phobia comes the indoctrination of Dharmic children in high school and undergraduate university against Dharmic faiths.